This beer was rated as one of the top 50 greatest beers in the world in 1997 and described as "One of the finest Pilsners in the United States... as aromatic and soft as the best from Bohemia" by world beer guru Michael Jackson. The lynchpins of this beer are the costly Bohemian Saaz hops and imported pale malts used to brew it. Note a pleasant floral hop nose and gentle bitterness in this light-to-medium bodied pilsner. The body begins with a bitter tanginess and offers a clean, soft, complex malty flavor and a note of pear in the back. True to style, Dock Street's Pilsner ends with a long, dry finish. Overall, a significant example of a difficult style to brew. Partners with just about all foods, from spicy Mexican to savory Persian kebabs. Our first featured microbrewery is one of America's oldest and most respected. When their beers first hit the scene, they were among the small handful of small upstart brewing companies to ignite the microbrew revolution across the United States. Back in the mid-80s, the only choices for premium beer drinkers were imports and a few recognized microbrewed brands, such as Sam Adams in Boston, Sierra Nevada (and a handful of other small breweries in the Pacific Northwest), and Dock Street in Philadelphia. These brews helped to set the standards for all-malt, high quality American beers, and Dock Street's offerings were among those that redefined the public's perception of beer. After hitting a milestone annual sales mark in excess of $7 million, with distribution to 23 states from coast to coast, Dock Street was sold in 1998. 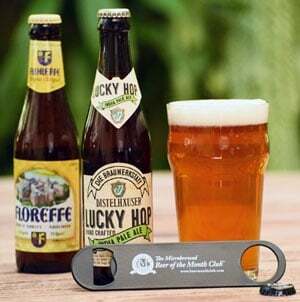 With the surge of new microbrews flooding the market, the brand suffered a bit, until 2001 when it was re-acquired by one of its founders, Rosemarie Certo. In 2004 she began the process of restoring Dock Street as the number one specialty beer producer in the region. We're happy to help her spread the word about these handcrafted, historically significant brews. A bit of trivia here for ya... Dock Street beers are TV and movie stars, receiving product placements in feature films such as "Philadelphia" and "Leaving Las Vegas" as well as the syndicated television series "Thirty Something". 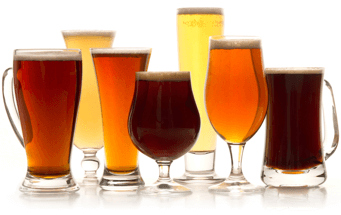 Now, how many microbrews do you know that have graced the television and silver screens? For more information about the Dock Street beers, call (610) 642-2699 or check out their web site at http://www.dockstreetbeer.com/.